Registration for 2018 is under way! Gio Whitney is a 27 year old Houston Texas Resident. Gio began performing in 2016 after competing for a local bar title at his home bar “Mr Tonys Corner Pocket” from there the sky has really been the limit. Gio has now competed on local, state, and has qualified for National levels of pageantry and hopes to be a national title holder sooner than later. Gio really enjoys traveling and performing all over Texas with any genre of music! Gio’s main drive in life is to accomplish and work towards as many goals he has set. He is an assistant by day, fitness motivator, DJ, and Performer! Follow Gio on Facebook @Gio Whitney. Hello and allow me to introduce myself, I go by the name A’Lexus Black and I’m the proud daughter of a former Mr. And Miss. Black Continental Mercedes Black and DaMario Black. I have been a female impersonator entertainer for 13 years. I have been interested in pageants for the past 4 years. I am a former Robert Lafittes Sweetheart, a former Miss. 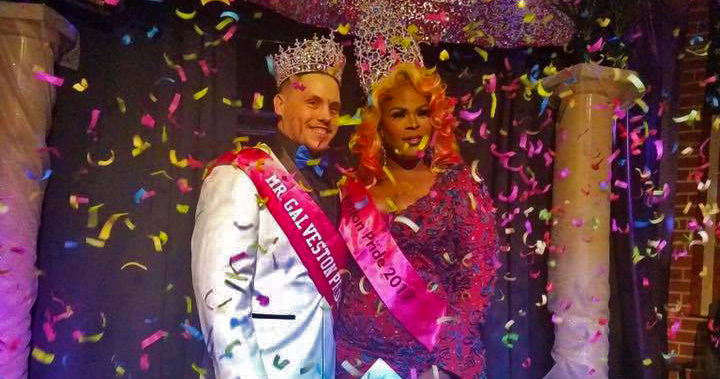 Robert’s Lafittes, I’m the current Galveston entertainer of the year, Miss. millennium, and your newly crowned Miss. Galveston Pride. I take a great deal of interest and pride in what I do because being a entertainer ain’t easy. I have goals and dreams to become Miss. Continental as well as Miss. All American Goddess. It takes a lot of hard work and dedication to achieve such prestigious titles but I am willing to do the work. I absolutely love what I do and would do it for free and I thank everyone who has loved and supported me and my dreams. Click to view our sponsors and learn about sponsor opportunities available.